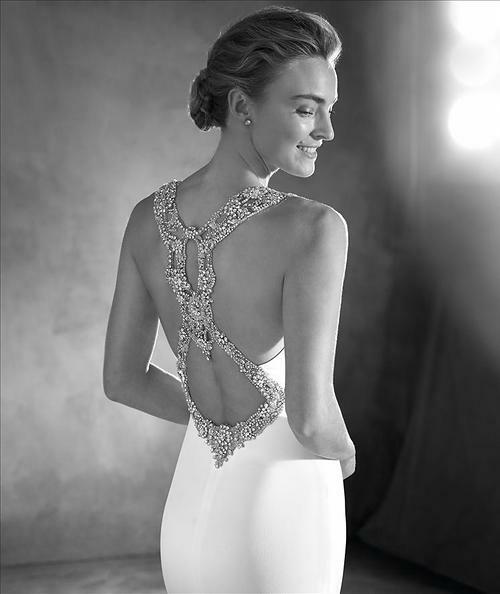 Emmett… Atelier collection from Pronovias. Attractive mermaid wedding dress in crepe A dazzling design thanks to the exquisite asymmetric neckline, with shimmering gemstones that turn the bride’s back into a true jewel Dazzling! Hand sewn.